The Page.On<iOS> method specifies that this platform-specific will only run on iOS. The Page.SetUseSafeArea method, in the Xamarin.Forms.PlatformConfiguration.iOSSpecific namespace, controls whether the safe area layout guide is enabled. 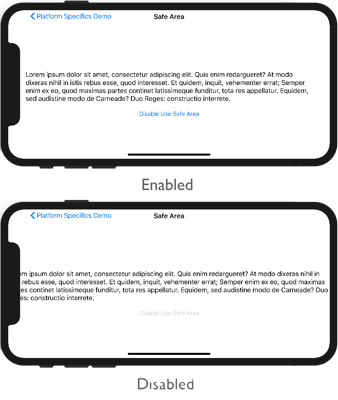 The safe area defined by Apple is used in Xamarin.Forms to set the Page.Padding property, and will override any previous values of this property that have been set.